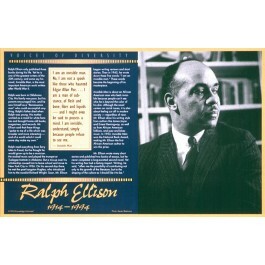 This educational poster of Ralph Ellison features a striking photo of the writer, as well as an excerpt from "Invisible Man," and biographical text of his life and work. 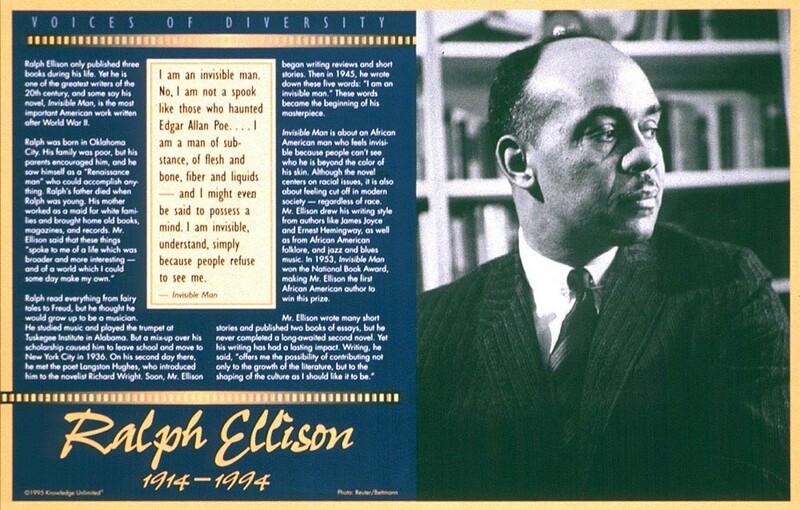 Ralph Ellison only published one novel during his life, but this novel "Invisible Man," has been called the most important American work written after World War Two. In 1953, Ellison won the National Book Award for "Invisible Man", making him the first African American author to win this prize.